There are so many crafts that call for soap flakes, especially those for kids. Any kind of soap is a welcome addition to kids' activities because it adds a washable element. 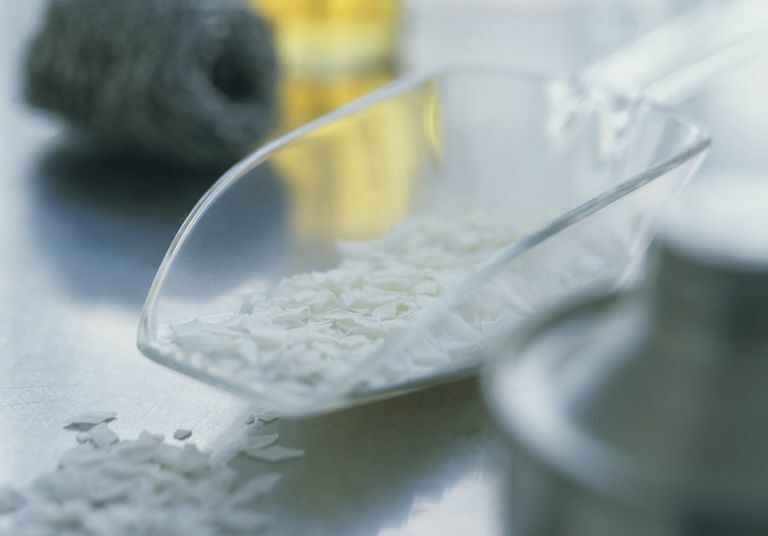 Although soap flakes are still manufactured, they can be difficult to track down in stores. Luckily making your own is easy. All you have to do is grate the soap. Lay the soap flat on its widest side and grate using the side with the thin, slit openings. You will produce more soap flakes more efficiently than you would by using the side with small holes. As for what kind of soap to use, that decision is up to you. If your soap flakes are merely for craft purposes, you certainly don't have to spend a lot of money on fancy soap. Experiment with different types of soap that offer different colors and scents. Be careful when using scented soaps that smell like peppermint or something else tasty — your little one might be tempted to eat whatever it's mixed with. Mix soap flakes and water until it reaches a clay-like consistency. Use it as you would any other sculpting clay. Your child can make shapes, jewelry, animals and other figures. The soap flake figures will dry completely overnight. Decorate with markers the following day. Combine soap flakes and water into a large mixing bowl and mix to a dough-like consistency. Form three balls. Stick a toothpick in the baseball and stick the other two on top. Attach toothpicks or twigs into the middle ball for arms and peppercorns for eyes and buttons. To make the nose, break a toothpick in half and color it orange. Use small strips of felt to make a scarf. Let the snowman dry overnight. Painting is such a wonderful activity for little ones, but it can get messy. It's one thing to let your child get good and messy, but it's another to wind up with paint stains on your child's hands and clothing and household surfaces. Soap flakes were practically made to be added to paint. Just sprinkle some soap flakes into the paint and any messes can easily be cleaned up.